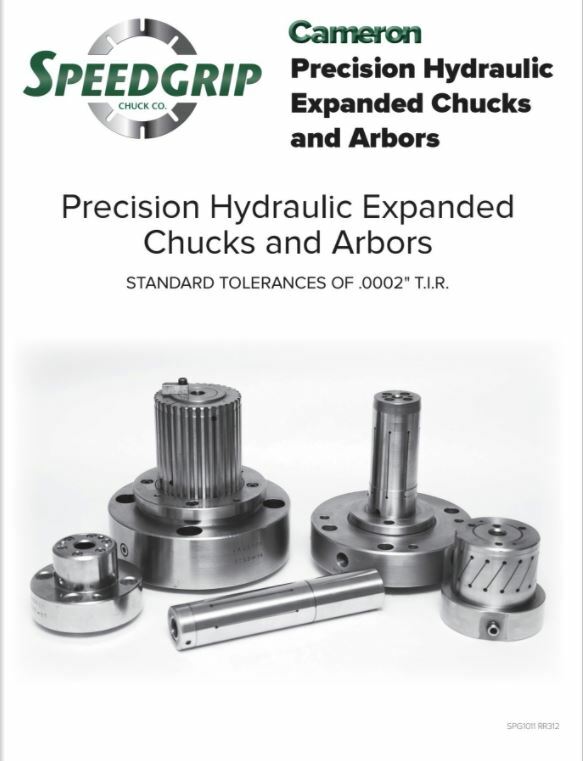 Cameron Hydraulic Chucks & Arbors - Speedgrip Chuck Co. When designing workholding to grip the part requiring closer tolerances, our hydraulic chucks and arbors with standard .0002 T.I. R. are offered for a wide variety of applications. Using the patented Cameron technology, a thin slotted shell along with an inner liner is expanded using hydraulic fluid. Provide a fast acting, powerful grip with unusual flexibility for greater expansion than many other types. 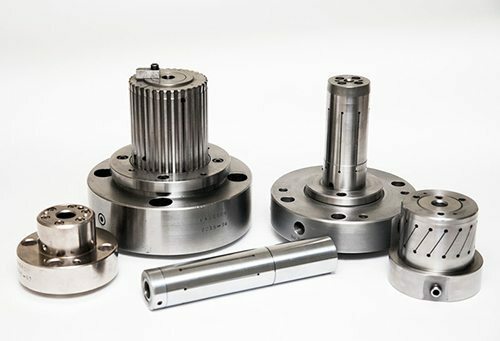 Custom designed for a specific application, to grip internal or external, small and large diameters, manual or power actuated, mounts on spindles, machine tables, fixtures, and more. Although excellent for inspection, are also used for turning, grinding, and drill / milling applications. 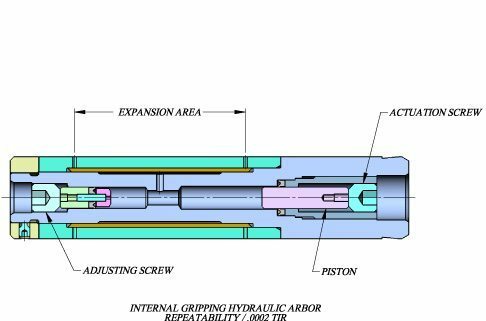 Our hydraulic chucks will grip long cylindrical parts (multiple sleeves), multiple parts or multiple diameters simultaneously. Can accommodate families of parts with various gripping diameters using slotted slave collets. 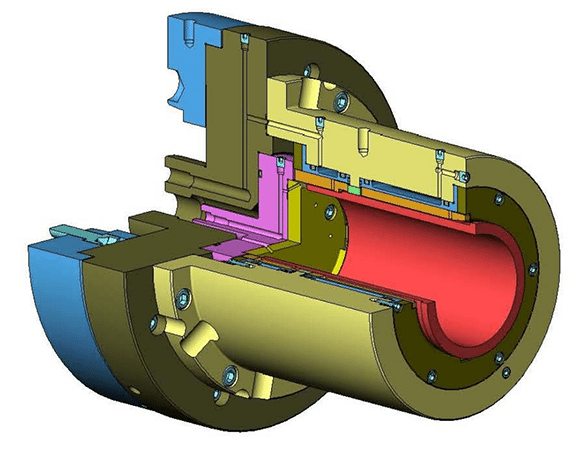 Our engineers will design workholding to grip your parts, for a specific machine, operation (s) with many other features, to run parts as effective and efficiently as possible. 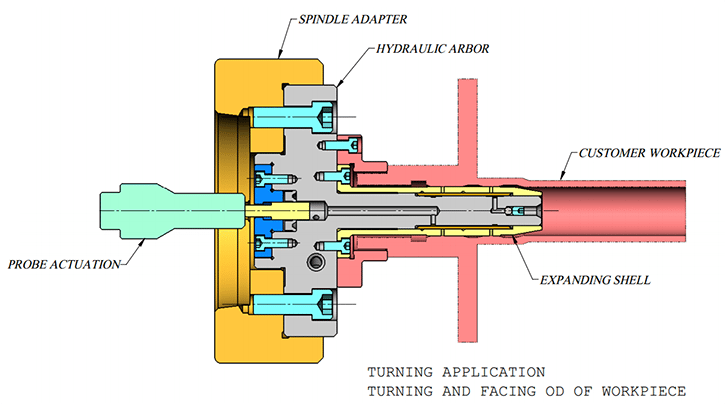 Access the Cameron Hydraulic Chucks catalog for additional information and specifications.